Times are tough throughout Greece but the residents of the coastal fishing town of Galaxidi have found a unique and entertaining way to relive their stress — a flour fight! 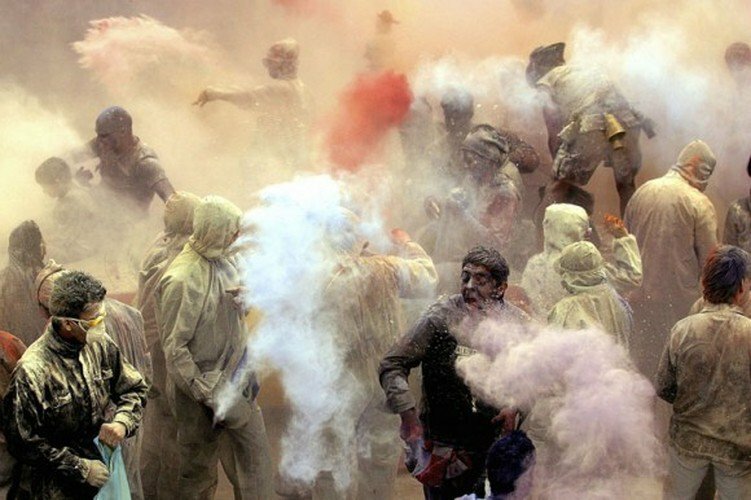 The annual tradition is called the Flour War and the villagers in the area stage a street battle celebrating the end of carnival on Ash Monday, or “Kathari Deftera” and welcome the Lent period as people throw flour bombs at each other. 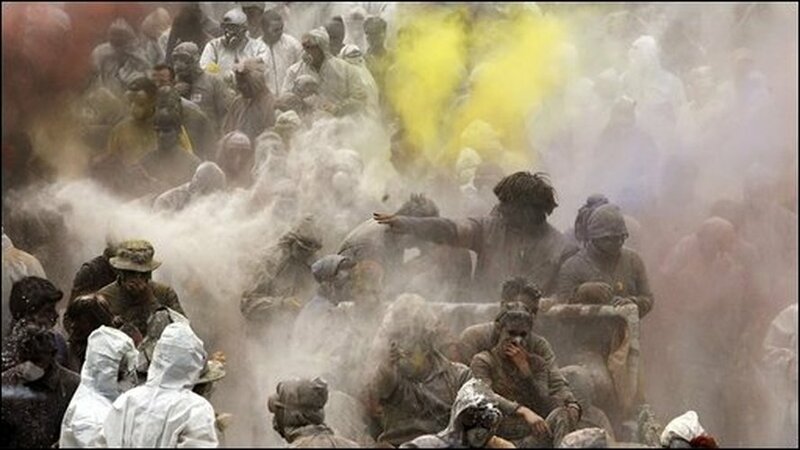 The Flour War is a traditional event which starts with the ringing of cow bells and ends in a colorful mess. 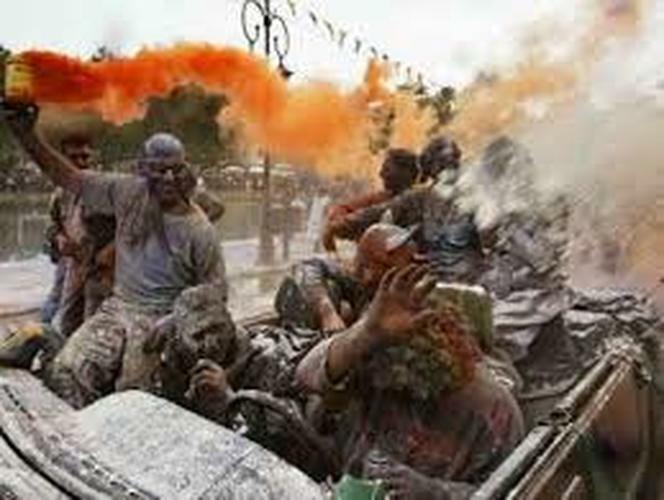 The festive event dates back to around 1801 when the residents of Galaxidi risked their lives in defiance of the Ottoman rulers who were occupying Greece at that time and had forbidden the celebration of carnival by painting their faces with ash and dancing in the streets. Visitors from across the country come to watch and partake in the festivities.